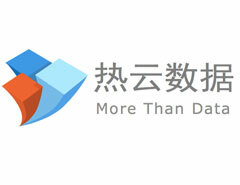 Hot Cloud Data Established in November 2013, concentrates on providing data analysis services for companies in mobile internet technology sector. The core team members of Hot Cloud Data came from notable companies such as Google, Baidu, Alibaba, JingDong, Paypal and Zynga. With their rich experience with data acquisition system, distributed processing vast amounts of data as well as mining algorithms, user behavior analysis modeling and data applications, Hot Cloud Data is now one of the most professional data analysis service providers in China. As a technology-driven company, Hot Cloud Data has always been concerned about developing data analysis related products. So far, the main products of Hot Cloud Data cover operating support platform for mobile game and advertising effectiveness monitoring platform, churn prediction model and mobile data tagging systems. In November 2015, Hot Cloud Data successfully received 50 million RMB in the first round of venture capital financing. By the end of 2015, the overall number of mobile devices reached by Hot Cloud Data exceeded 800 million. We are proud to delivery data analysis service for nearly 22, 0000 Apps from over 2500 companies.